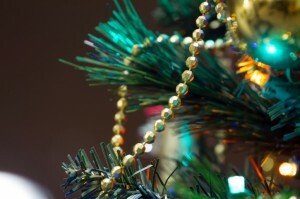 Is Your Artificial Christmas Tree Toxic? 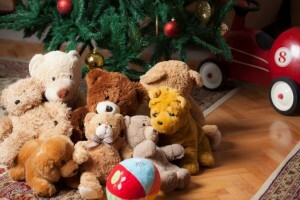 Many people buy artificial Christmas trees to avoid the mess of dropped needles spread throughout their homes. Unfortunately, that pristine artificial tree could be spreading something you can’t see: toxic lead dust. Most artificial trees are manufactured in China and made from two items: PVC, a petroleum-based plastic, and lead, used to stabilize PVC. The lead in the “greens” breaks down into lead dust, which is released into the air, poisoning everyone, but especially children younger than six. Many people are unaware of a 2002 study conducted at the University of North Carolina at Asheville that found three out of four artificial trees tested contained lead – that translates to 50 million American households with a PVC-based artificial tree. Most Americans have no idea that there is lead in artificial trees; only California mandates a lead warning label on every box containing an artificial tree. Keep children and pets away from the tree; do not allow them to touch it. If you touch the tree, wash your hands thoroughly before touching your face or handling food. Do not vacuum dust from under the tree. Vacuuming could spread invisible, poisonous lead dust through the air. The Centers for Disease Control and Prevention says that a speck of lead dust, as small as a grain of sand, can poison a child. Keep gifts away from the tree, to keep lead dust from coating the wrapping. What else can you do? Buy a tree Made in America. 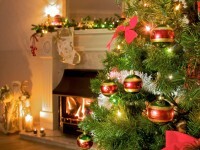 Check out this article for tips on artificial tree buying. Lead poisoning can cause irreversible brain and nervous system damage in children, as well as autism, ADD/ADHD, lower IQ scores, violent behavior, and seizures, among other things. If there’s a possibility lead dust is released in your home or on your property, you should have your home tested for lead by an environmental testing company. Click here for more information or to schedule an appointment to have your home tested for lead.